Using the audio interface you use for GarageBand. New musical possibilities for GarageBand guitarists! 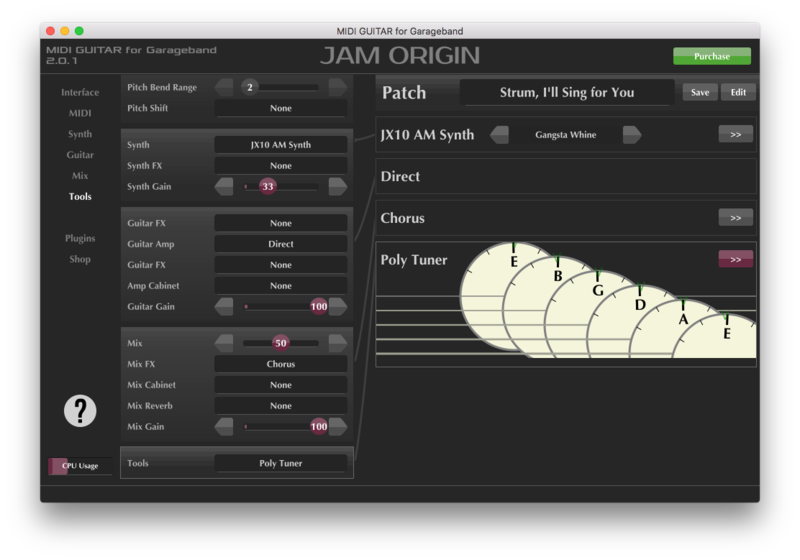 MIDI Guitar for GarageBand is a revolutionary piece of software that allows you to use your guitar to play software instruments in GarageBand, essentially converting your guitar into a MIDI controller/MIDI keyboard. 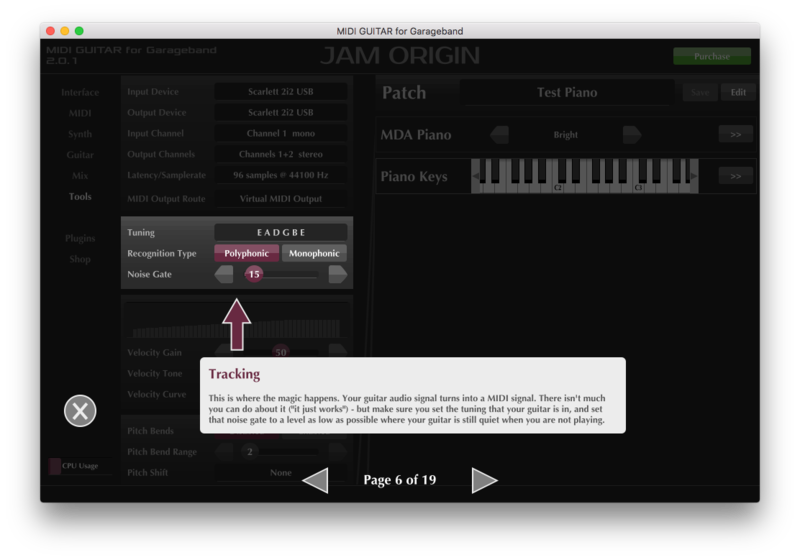 MIDI Guitar for GarageBand is a stand alone app that analyzes your guitars output signal and converts into MIDI that is sent to GarageBand. It even works with chords! The app is a free download from the Mac App Store with full functionality that allows you to evaluate the technology with occasional interruptions before deciding to purchase the full version without interruptions. MIDI Guitar for GarageBand is very easy to use with a one button setup for GarageBand. 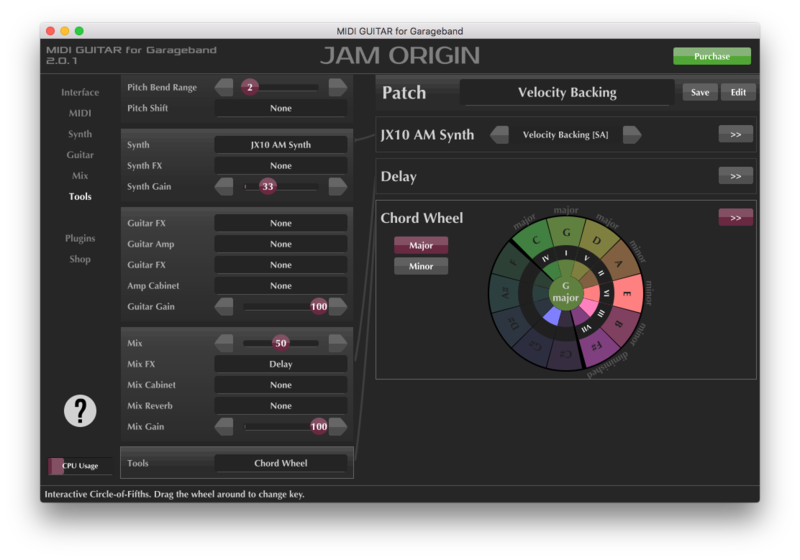 It doesn’t come as a plugin, and thus for recording it has a latency overhead compared to the MIDI Guitar plugin package. It doesn’t have MIDI input controls and MIDI Learn, so you can’t use a MIDI pedal or floorboard to control it. It lacks some advanced features, like aftertouch and MIDI Machines.. It will host synths and virtual instruments in AudioUnit format only. It doesn’t load external impulse responses for cabinet and reverb simulations.